The Books in Action Party will be held at Leverett Elementary School on Friday March 9 , 2018 in the evening. To qualify for an invitation, students in grades 4, 5 and 6 must read at least 5 MCBA books by February 13, 2018. The librarians from Swift River, Leverett and Shutesbury schools work together to provide a fun evening of activities based on the 25 MCBA books. The contest ends the week of April 13, 2018 and the winning class receives a pizza party lunch! 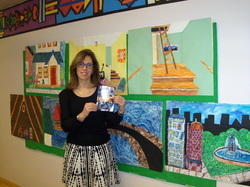 Author Lauren Tarshis recently visited Swift River School. Our focus was on the I Survived series, specifically I Survived: Hurricane Katrina 2005. Ms. Tarshis spoke about her difficulty with reading as a child and teen, then answered questions from the students. 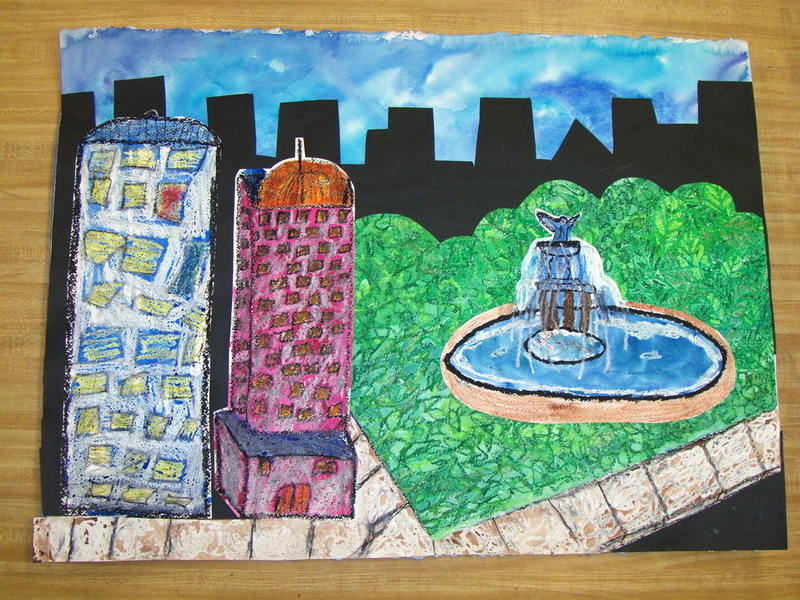 The author is shown with some of the artwork made by the students for their play about hurricane Katrina. You can see this wonderful play performed by the 4th, 5th and 6th grade students here. Special thanks to Sally Alley for the amazing artwork, Christine Morin for the technical help and Brian Bender for the soundtrack. 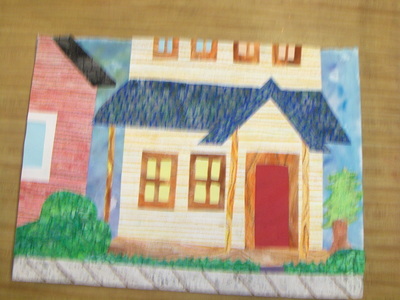 This was a great project to work on and helped the students understand the tragic events of Hurricane Katrina.